Broadway Radiology is born and bred in the Manawatu and we’re part of the community. Our staff live and work here, our children go to school here, and we take pride in giving back to the community that has supported us. So far we have donated more than a quarter of a million dollars to local events and organisations which we believe are aligned with our goals of excellence and bringing our community together. We are proud to be associate partners to the Manawatu Turbos, as they represent more than just a game and reflect our commitment to the wider community, by aspiring and fostering young talent in our region. Our sponsorship of the Manawatu Turbos helps to facilitate the growth and development of the wider Manawatu Turbo training programme, and enables young players to maximise opportunities to unlock their potential. To find out more about The Manawatu Turbos click here. We are passionate about our community and its wellbeing, and share the belief that theatre and the arts play an integral part in our society and enabling self-expression. Our sponsorship of Centrepoint Theatre allows the continuation and creation of Kiwi content for local audiences, as well as attracting top talent to Palmerston North. Our sponsorship also contributes to the educational programmes run by Centrepoint Theatre that provides multiple opportunities for those in the arts community to grow creatively under the guidance of both local and industry professionals. Centrepoint Theatre have been successful in their commitment to making theatre accessible to all, and Broadway Radiology are incredibly proud to support this incredible organization and our arts community. To find out more about Centrepoint Theatre click here. Our relationship with the RedSox through our ongoing sponsorship is with a club committed to helping make sport achievable for kids of all ages. This aligns with Broadway Radiology values "we are committed to our community". RedSox are committed to keeping their fees as low as possible and they can do that with help from sponsors. To find out more about Red Sox Manawatu click here. Broadway Radiology sponsored the 2017 Broadway Radiology Café Scene which presented Jazz for free in 18 venues with 37 three hour gigs. Bands from Manawatu/ Rangitikei, Wellington (+ NYC), Masterton, Whanganui, Levin, Hawke’s Bay took part with an estimated crowd of 10,000 enjoying the free entertainment. 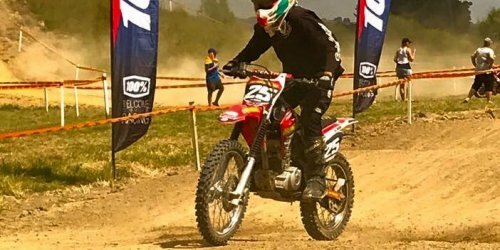 Broadway Radiology is the proud principal sponsor of two passionate motorcross riders Ryan Denby (12 years) and his brother Luke Denby (10 years) the sons of one of our very talented Radiographers. These two are amazing and are constantly striving to improve and become the best motocross riders, which aligns really well with our values at Broadway Radiology to maintain and constantly improve on being a centre of excellence. Sponsorship helps get the boys to various championship events around the country so they can increase their experience and gain a few more titles. These two boys are talented! Here at Broadway Radiology we are so proud to be sponsoring such a great organsiation. The Wildbase Recovery Community Trust is a Charitable Trust, tasked with raising funds which will be granted to Palmerston North City Council for the sole purpose of building, operating and maintaining the community funded Central Energy Trust Wildbase Recovery. The world-class sanctuary will be a place for ill or injured animals to rehabilitate in a stress-free and purpose-built environment, while educating national and international visitors about our native wildlife. To find out more about The Wildbase Recovery Centre click here. The Methodist Social Services and the Salvation Army help hundreds of Palmerston North families in time of need with their Food Banks. We wanted to get on board and be part of making sure our community do not go hungry. Every year co-ordinated by the combined Middle District Lions Clubs, on behalf of Methodist Social Services and Salvation Army food banks. 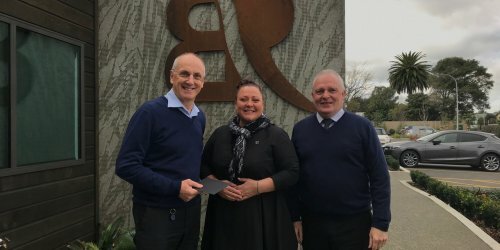 Broadway Radiology sponsor the annual foodbank drive who reach out to all Palmerston North homes by driving around the streets collecting food bags. This event helps ensure the Foodbank shelves are stocked, especially around times of real hardship for some families, like Christmas. If you would like know more about the Middle District Lions Club or donate to the Foodbank, click here. Celebrate cancer survivors and carers. Remember loved ones lost to cancer. Fight back by raising awareness and funds to support the work of Cancer Society. Relay For Life is one of the Cancer Society's key fundraising and community engagement activities. It's for people of all ages and fitness levels. Anyone can take part! Broadway Radiology is proud to be an ongoing sponsor for Relay for Life in the Manawatu. Broadway Radiology are proud to sponsor organisations, initiatives and people, who are doing good in our community or representing our regions, in their field expertise or interest. Be based in either the Manawatu and/or Horowhenua regions, or have a direct positive impact on the people and communities in these regions. Align with Broadway Radiology goals of excellence and bringing our community together. Let us be the only radiology services organisation, and the main healthcare organisation involved. A Broadway Radiology representative will notify you of the submission of your sponsorship application on the date of receipt, and respond with the outcome of your application within three weeks.